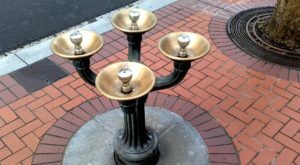 This tiny element of Portland’s rich history was going overlooked, and one man decided to draw attention to it with a fun project that has led to many tiny horses tethered to sidewalks all around town. 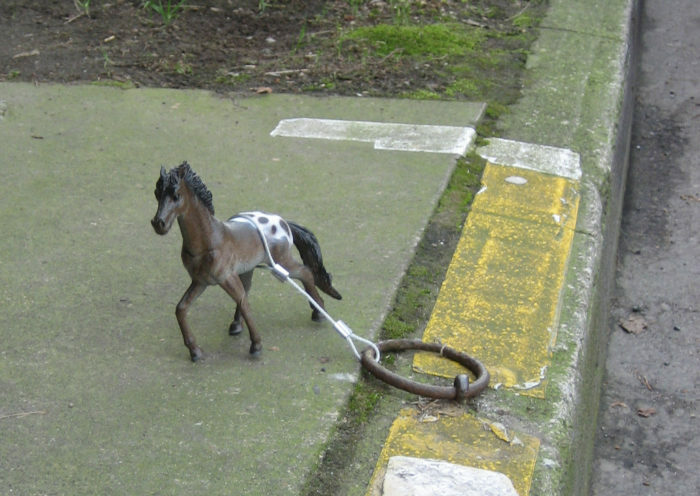 In 2005, Scott Wayne Indiana tethered a miniature toy horse to one of the city sidewalks’ many horse rings, and the project that followed has given a whimsical touch of fun to Portland’s many historical neighborhoods. 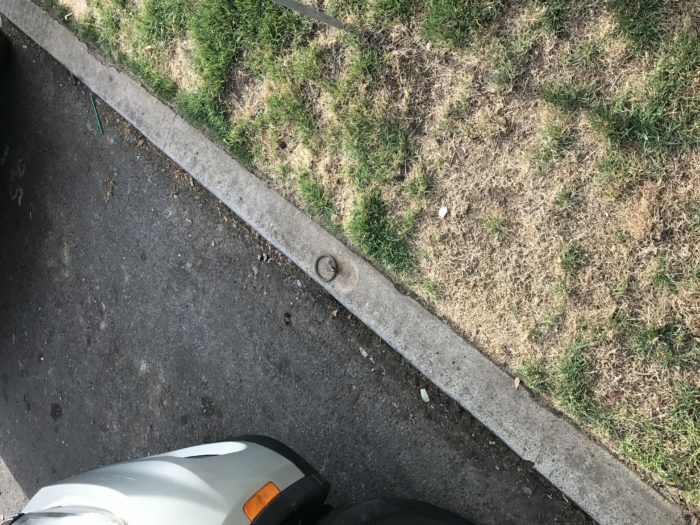 A lot of people walk on by these easily missable rings everyday and never even notice them. 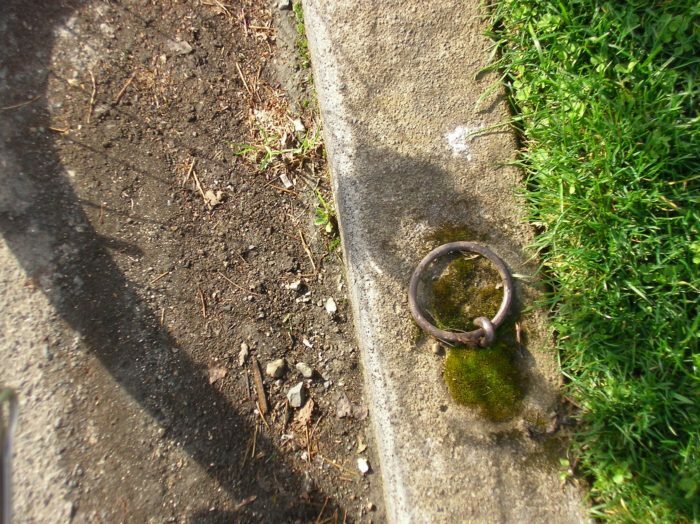 If you don't know what to look for, you probably wouldn't even see the tiny horse ring affixed to this sidewalk. 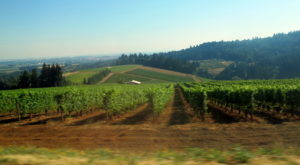 The rings point back to days when Portland residents manned horses and horse-drawn carriages as a means of transportation. 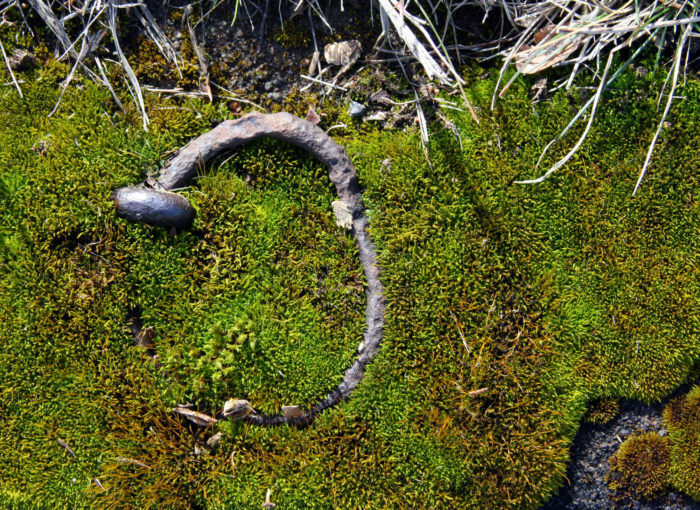 The rings, commonly made of iron and brass, were used to tie up the horses roadside while their owners took care of their business in the city. 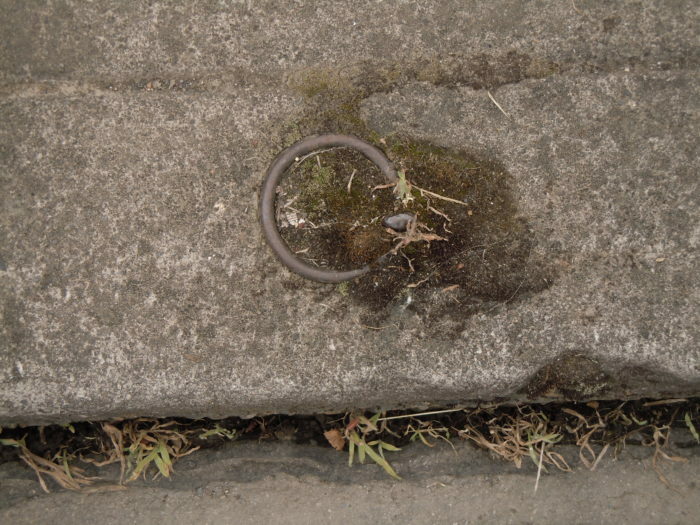 By the 1970s, many of these sidewalks had begun being removed, and these rings were lost to renovations. 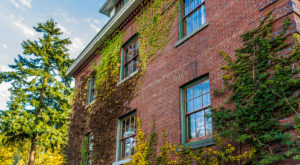 By 1978, residents began looking to preserve the rings, and homeowners could have them replaced after repairs were made. Today, the rings are protected and must be re-installed as close as possible to the original location after any sidewalk repairs. 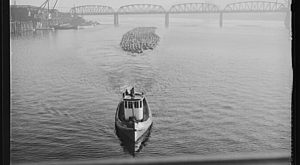 Looking to bring attention to this interesting bit of Portland history, Indiana had an idea. He tethered a small horse to a ring to draw attention to it, and the trend caught on and is still going strong over a decade later. 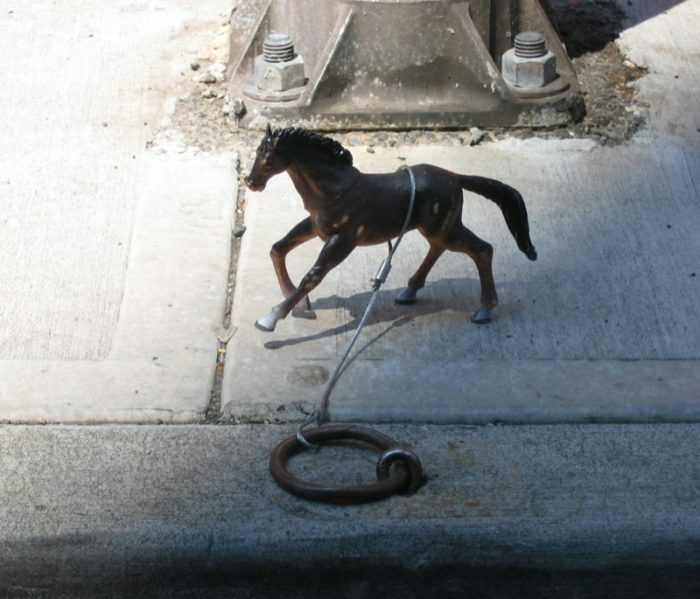 Once the first horse was tethered in place, residents began to take notice and horses began popping up all over town. 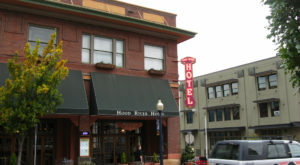 The Portland Horse Project was formed to bring awareness to the fun public art project. 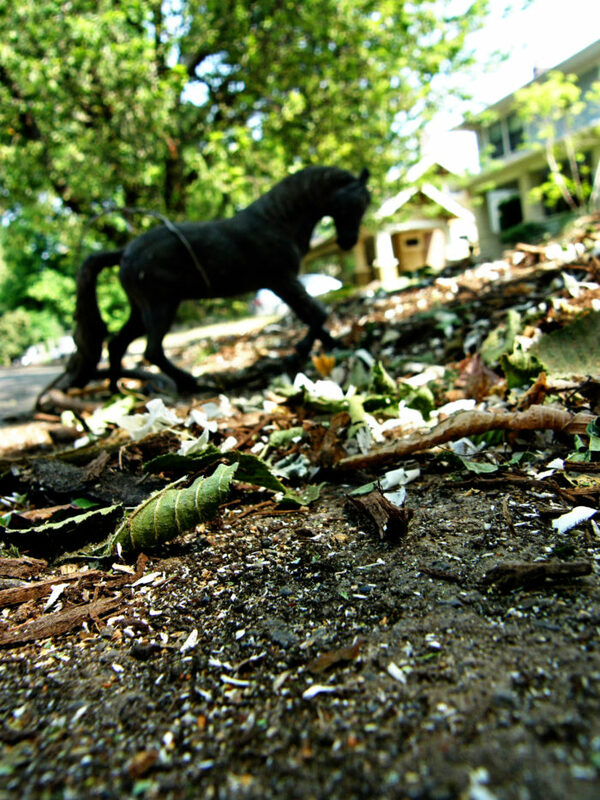 Beyond just the horses, residents leave treats, hay, water, and other tiny mementos for the toy horses. 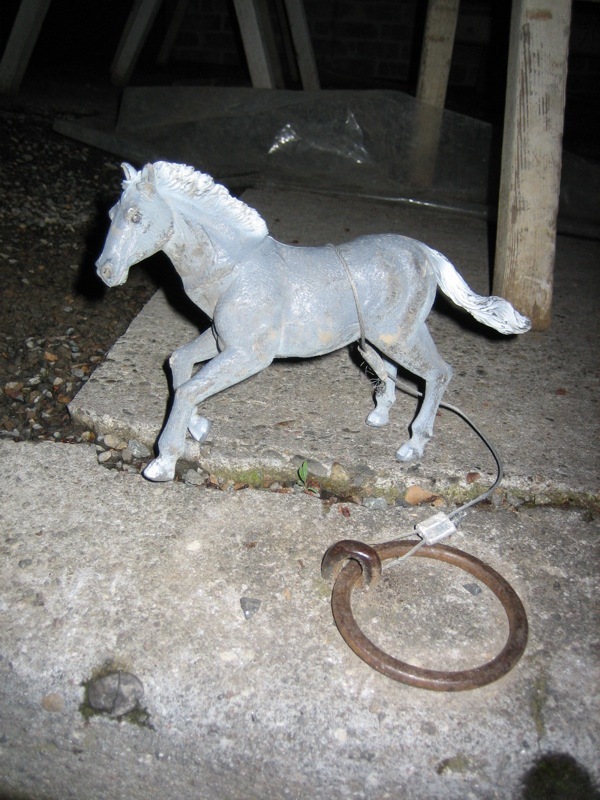 While many horses have been defaced or removed since the project began, residents have continued to keep replacing them and keeping the magic alive. The rings are most densely concentrated in the Pearl District, NW Portland north of Burnside, inner SE, and Mississippi. 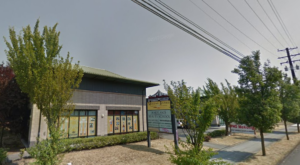 However, the rings are in many other neighborhoods around town too, so keep your eyes peeled when you are out and about. You may even come across some other animals too. 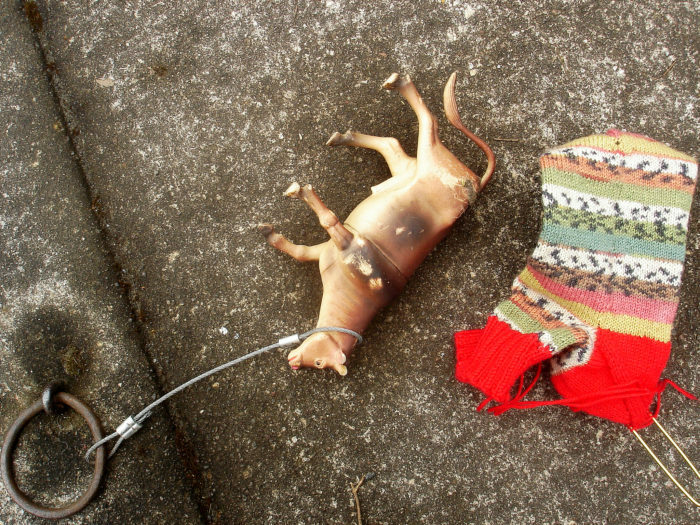 Various farm animals and even some dinosaurs have been found tethered to the horse rings. Next time you are walking around, take a look at the street and see if you can find one of these unique horses on the street. 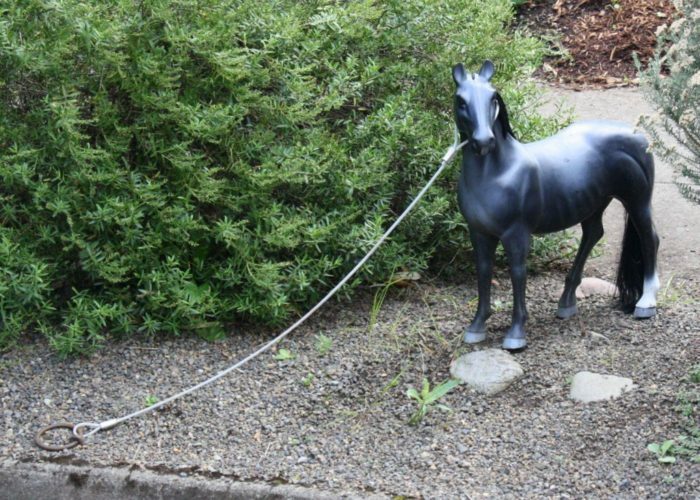 To see many more horses around town, follow The Portland Horse Project on Facebook. 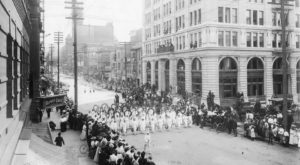 Want to know some more interesting thing people in Portland do? 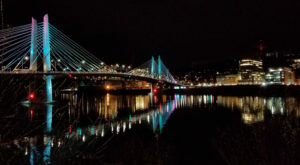 Check out this article about 8 Weird Things Only People From Portland Do.